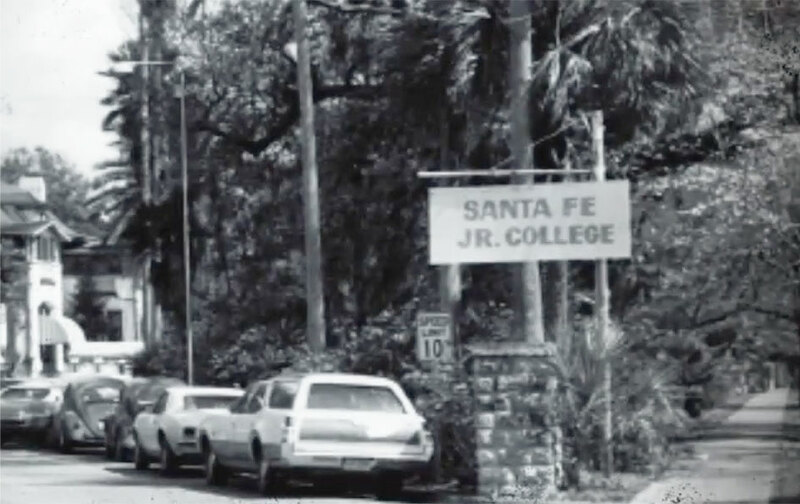 The Florida State Legislature established Santa Fe Junior College in 1965 to offer wide access to quality higher education for citizens of Alachua and Bradford Counties. Joseph W. Fordyce became SF's founding president until 1971. He made the college into a national model and instilled it with his philosophy: "that all who will may learn." Santa Fe Junior College opens in the former Buchholz Junior/Senior High School in the fall of 1966. The first year's enrollment was 889 students. The former Thomas Hotel leased its buildings and grounds to Santa Fe Junior College for seven years while its campus was being built across town in west Gainesville. Santa Fe Junior College officially opens the doors to a new child care facility known as "The Little School." The Little School provides a safe, enriched, stimulating and loving learning environment for toddlers and preschool children. The Santa Fe College Spring Arts Festival held its inaugural celebration of creativity festival in Gainesville. The festival continues to this day and is the longest running arts festival in North Central Florida. Alan J. Robertson is appointed the second SF president. He was SF's president for 19 years, stretching from 1971-1990. Santa Fe Community College begins its first Institute of Public Safety Police Academy. IPS continues to serve the community today by providing education and training for law enforcement. On 115 acres of wooded land - a gift from Haufler Brothers, Inc. - buildings A, B, D, F and G are erected as Santa Fe Community College moves into its new home at the Northwest Campus. NW 83rd Street is visible in the top of the photo. The one-of-a-kind Teaching Zoo opens at Santa Fe Community College in 1972, giving students a unique learning opportunity. In just seven years after its opening, Santa Fe Community College's enrollment surpasses 5,000 students. SF begins a High School Dual Enrollment program that allows local high school students to enroll in classes at SF to jumpstart their college career. Staff get together for the "President's Recognition" in 1975. Seated in front are Ceil Layfield, Frank Lagotic, Ann Ritch, and Marry Ann Linzameyer; standing in the back include Jeff Tennant, John Dumbauld, and John Dykes. SF opens the "Community Gallery of Art" in 1978. Today, it is officially referred to as the "Santa Fe Gallery." The college's enrollment grows to 10,000 students in the year of 1980. The Honors Program was started at SF in 1982. Faculty member Suellyn Winkle is pictured at Northwest Campus with Honors students. The first "President’s Recognition Award" event took place in 1984. Some of those attending included Martha Bell, Richard Peterson, Bob Short, Bruce Walek, Joan Golliday, Azza Guertin, Jean Klein, Warren Nielsen, Jim Bradshaw, Tom O’Neal, Joe McGrath, and Leon Ellis. The parking lots are filled as seen in this aerial view of Northwest Campus in 1985. Starke Center Opens in Bradford Co. In 1985, SF opens an educational center in the former Bradford County Courthouse known as the "Starke Center." Later, the name will change in honor of Guy Andrews. A downtown Gainesville educational center was built in 1989, named after Charles L. Blount, and opened its doors to students in 1990. Some of those attending the dedication were E.T. York, Vam York, Joanne Kniffen, William Chesnut, Bob Rowe, Charles Blount and Howard McCluney. Lawrence W. Tyree is appointed the third SF president. He was SF's president for 11 years, stretching from 1990-2001. The new SF library was named after Tyree in 2002. Student success is seen as a number when the 25,000th student graduates from SF in the spring of 1991. While campaigning for President of the United States, Bill Clinton visits Gainesville with former Vice President Al Gore. SF Charles L. Blount Center, CIED DB Building Opened July 1993, located at 530 West University Avenue. This was phase 2 of the Blount Center. When Santa Fe Community College launched its website onto the World Wide Web in 1996, it was only the second community college in the nation to have Web presence. The original URL was santafe.cc.fl.us. The George G. Kirkpatrick, Jr. "Criminal Justice Training Center" opens as another educational center to house SF's Institute of Public Safety. In the fall 1998, Santa Fe College began offering 12 online classes through WebCT. Today, SF offers more than 2,600 course sections via the Canvas Learning Management System. The Harvey Sharron "Bat Cave" Field Laboratory in Newberry was opened by SF for classes and field trips. 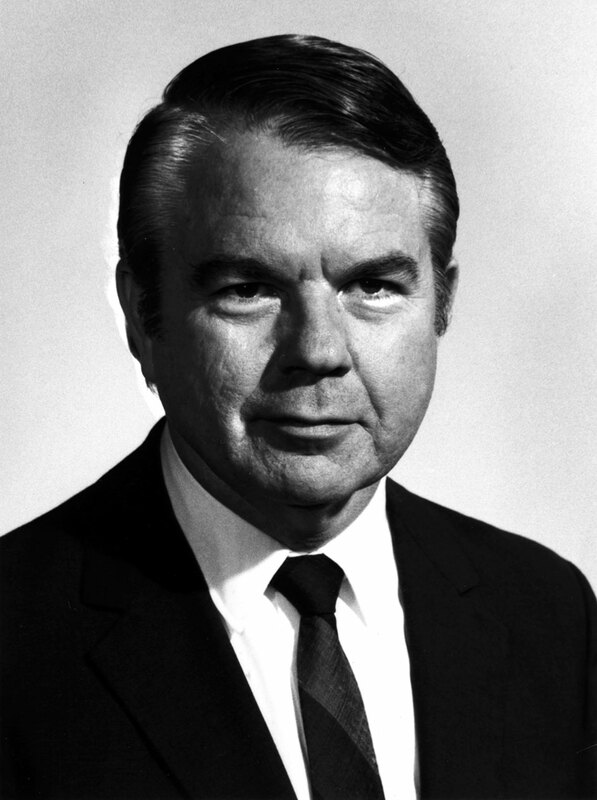 The cave is named for SF’s former director of development and chief fundraiser. Jackson N. Sasser is appointed the fourth SF president and is the current president. Before arriving at SF, Dr. Sasser was president of Lee College in Texas and interim president at Calhoun Community College in Alabama. The Davis Center opens in Archer, Fla., and was named in honor of Ron and Norita Davis and family. The Davis Center offers general education classes for SF. The Watson Center opens in Keystone Heights, Fla., and was named in honor of Alfred Watson, Sr. and Agnes Watson. The Watson Center offers general education classes for SF. SF Charles L. Blount Center, General Classroom and Counseling, DC Building Opened 2005. Phase 3 of the Blount Center is located at 520 NW 5th Avenue. The Kika Silva Pla Planetarium is dedicated. The planetarium was made possible by a generous donation of John Pla and his wife Amy Howard, in recognition of his mother, Kika Silva Pla. The Jean Klein Rock Cycle Garden is also dedicated in 2006. This outside exhibit features over 20 boulders from across the United States. The Rock Cycle Garden is named after Jean Klein, former chairman of the Natural Sciences Department at SF. The Center for Innovation & Economic Development, (CIED), opens for those who need specialized training to reach career goals, represent a business needing cutting-edge training, or are an entrepreneur seeking business support. The facility in the Gainesville technology corridor is home to the Entrepreneur Incubator, SF Continuing Education, and SF Community Education. Santa Fe College became the new name in 2008 when the college began offering bachelor's degrees. Currently, the college has seven 4-year degrees. The college's acronym also changed from SFCC to SF, similar to neighboring university UF. The SF Saints women's softball team won the FCCAA State Championship, and was the NJCAA National Runner-up. In 2008, Florida Monthly magazine announced its 13th annual Best of Florida Awards, and SF won in the category of Best Community College and the college's Spring Arts Festival took the award for Best Arts & Crafts Festival. A state-of-the-art facility opened as another SF center called the Perry Center for Emerging Technologies. It is named in honor of Nancy V. and Charles R. Perry. The SF baseball team won the FCCAA State Championship. They were also NJCAA National Runner-ups. The Charles R. Perry Building Construction Institute opens at SF's Northwest Campus. The Institute allows for an on-site residential home building program for SF's construction offerings. A 39,599-square-foot, 606-seat Fine Arts Hall held its grand opening. The state-of-the-art facility includes a fully-equipped theater, dance studio, orchestra pit, costume design studio, scene shop, dressing rooms and classrooms to support Fine Arts education and productions at SF. Santa Fe College was named one of the top 10 community colleges in the nation by the Aspen Institute. SF was selected from more than 1,200 community colleges nationwide. Largest Rock Collection in North Fla.
SF receives one of the largest rock and mineral collections in North Florida in 2013 and unveiled a brand new exhibit of almost 1,500 individual specimens in 25 glass displays. There is even a dinosaur egg! A collaboration between UF and SF known as Gator Engineering @ Santa Fe was started. It’s tailored toward students who want to enter the college of engineering, but might not meet the requirements for admission into UF. SF student Christian Keen was named to Phi Theta Kappa International Honor Society's All-USA Community College Academic Team. He, along with just 19 others, was selected out of about 12.8 million, two-year college students in the nation. Officially known as "The Santa Fe College Tower," this new college landmark at Northwest Campus started construction in 2014 and was completed in the spring of 2015. Santa Fe College was named the winner of the 2015 Aspen Prize for Community College Excellence by the prestigious Aspen Institute. SF was named number one over 1,000 institutions nationwide and has been in the top 10 of U.S. community colleges since 2012. During fall 2015 convocation, President Jackson Sasser officially announced the beginning of a 50th anniversary celebration. The video below was shown at convocation that displayed 50 years of college excellence.